In 2016, CCA Florida began recognizing our members who have gone above and beyond with regard to habitat restoration in each publication of SeaWatch Magazine. In this edition, we are recognizing John Lindsley, Vice President of the CCA Mid-Coast chapter as the next Habitat Hero. John is 4thgeneration Floridian originally from south Florida where he grew up. John has been hunting and fishing since he was a young child. He was inspired by his father who loved boating and his mother who loved hunting and fishing. He moved from Miami to Volusia County in 2005 and went to Stetson University. In addition to his Vice President role with the Mid-Coast chapter, John also serves on the CCA state government relations committee and the water quality committee. He got involved with CCA over six years ago because of the declining environmental conditions along coastline where he lives and in South Florida and the Everglades. When he moved to the Volusia area in 2005, he saw healthy seagrass in Mosquito Lagoon along with great red-fishing. However, following the devastating Indian River Lagoon (IRL) algae superbloom in 2011, John realized that he needed to get involved somehow and he decided to join CCA. His active involvement in habitat restoration and water quality with CCA emanated from his understanding when he joined the organization that a healthy fishery is dependent on healthy habitat and water quality. “Habitat is the basis of it all – without habitat there is nothing else,” John said. When CCA Florida began on its path to substantially increase the organizations impact on habitat restoration 4 or 5 years ago, John saw this as an opportunity to get CCA involved in a local Volusia County project. He first reached out to Joe Nolin, Volusia County’s Coastal Project Manager, in 2015 to partner on a project. Several projects were explored over the course of the next few years and in early 2017 a very unique artificial reef opportunity surfaced. The U.S. Customs and Border Protection in Miami forfeited a 150-foot steel vessel, the “M/V Lady Philomena,” and a 90-foot tugboat, the “Everglades,” after being seized with illegal contraband. The vessels became immediately available to anyone with the means to tow them and get them cleaned for reefing. John was working with the county to help quickly raise the funds to secure both vessels and he contacted CCA for assistance. CCA worked with their national habitat program, the Building Conservation Trust (BCT), on securing a $25,000 donation to Volusia County to secure the vessels. On Saturday, June 23rd, 2018 the “M/V Lady Philomena” and tug “Everglades”were deployed off the coast of Volusia County. The vessels both landed upright on Volusia County Reef Site 12 which is a permitted reef construction area located 9 miles northeast of Ponce de Leon Inlet in 75 feet of water. This prolific artificial reef provides access for smaller boats and for youth to fish and dive it given its proximity to land. John has also volunteered for several coastal cleanup events in Volusia and Brevard Counties over the last four years. “It’s amazing what you actually pull out of just one small area,” he said. With regard to upcoming habitat projects and water quality issues, John expressed his concerns for our fragile inshore estuaries being at the greatest risk all around Florida as the population continues to grow. “We see it with the red tide down in southwest Florida, we see it with our algae blooms on the east coast, and we see it with the seagrass die-offs,” he said. “We need more awareness of the issues along with retrofitting of the current infrastructure in Florida.” Other concerns of his include the need for better wastewater management, stoppage of the constant sewage spills, and more investment into infrastructure upgrades to prevent further deterioration of our habitat. He would also like to see a bigger push in Everglades restoration and feels like we are finally starting to see more awareness which has led to legislative changes. 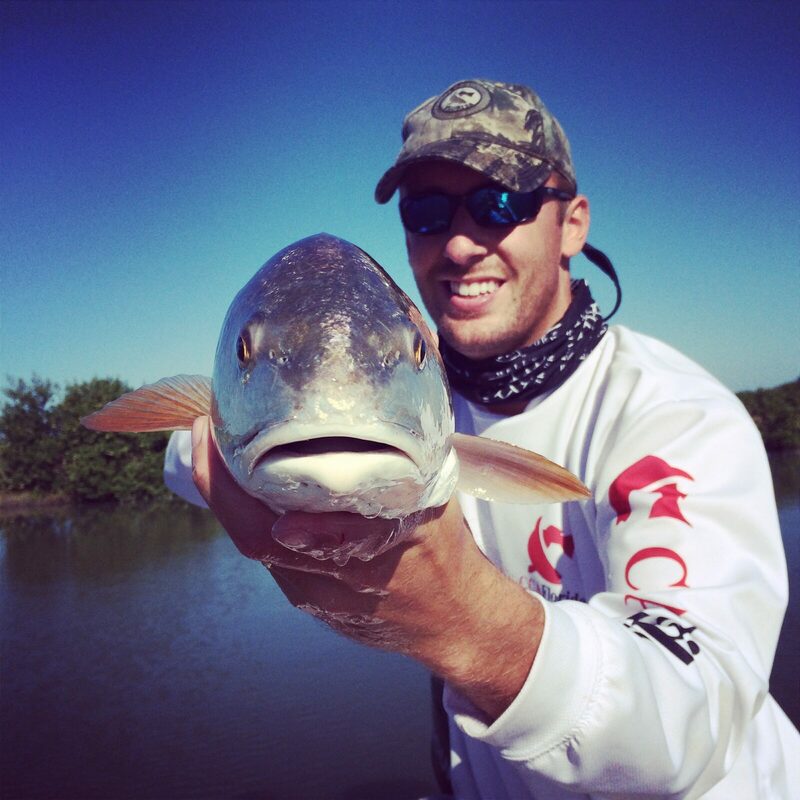 And on a lighter note, John’s favorite species of fish is without doubt, the redfish. Aside from how hard they fight, he is intrigued by the sport of stalking and hunting them. He enjoys watching them feed on shrimp and crabs on the bottom with their tails waving in the air. “It gives you a feeling unlike any other,” he emphasized, “when you target a specific fish and go after it.” As a 4thgeneration Floridian with 5thgeneration children, we sincerely thank John for all of his dedication to the restoration of our coastal resources.